That facility, as well as the Community Corrections Center-Omaha (CCC-O), provides many options for incarcerated individuals. Individuals assigned to work detail complete jobs within NDCS facilities including landscaping, construction, administration, and janitorial services. In addition, there are opportunities to cook, clean and provide tours in the Governor’s Residence. 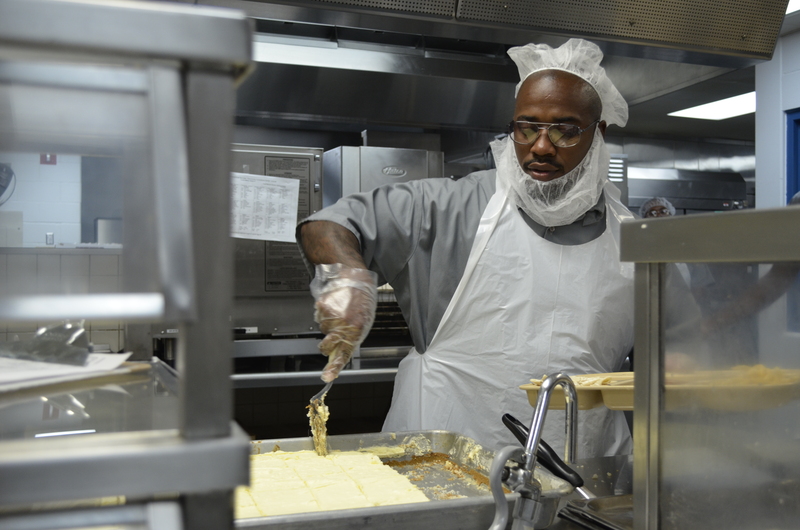 Those who are assigned to work release hold a variety of jobs within the community. McCracken gained the necessary skills by participating in the NDCS grant-funded TRADE (Tackling Recidivism and Developing Employability) program. The program – an initiative through the Center for People in Need (CFPIN) – provides a variety of vocational and life skills training services to those transitioning out of the criminal justice system. McCracken recently finished a six-week basic computer course with TRADE, where he learned how to use applications such as Microsoft Word, PowerPoint and Excel. Next, he’s hoping to get his forklift certification. Charles Blowers recently obtained his forklift certification, along with a construction certification and food handlers permit through TRADE. He has been doing janitorial work at CCC-L and trains other inmates as well as checking inventory. CCC-L and CCC-O conduct orientation sessions to assist with the transition to work release. Individuals must have a state ID or driver’s license and a social security card prior to orientation. During the sessions, participants learn how to complete job applications, how to obtain transportation to and from work and how to talk about their incarceration during job interviews. Stacia Keener, who has been incarcerated for a year and a half, went through a similar job hunt before landing a position as a server at IHOP. She worked there four months before taking a new job at Old Chicago, which was a closer commute by bus. Building that confidence took time. Prior to incarceration, Keener said she never had trouble finding a job. Now, with a felony record, it is more challenging to deal with the questions that employers might ask. Spending time at CCC-L and going to orientation sessions helped her realize that second chances were possible. Ellinger, who has been in corrections for 30 years, works to break down the stigma of incarceration every day. She said it is imperative that incarcerated individuals go through programming, volunteer, get back in the community and rejoin the workforce.